Robin led a beautiful class, with a lovely and creative sequence. It was such a wonderful way to start my day. She is very nurturing in her cues and really helps you with your form and gentle hands-on assistance. I can’t wait to be back. She is truly one of the best teachers I’ve practiced with in San Francisco. This was a great all around class. It was physically challenging at times but there was definite focus on the breath and intermittent yoga therapy poses. Following the class, I felt centered and focused the rest of the day. Great class to start the day. 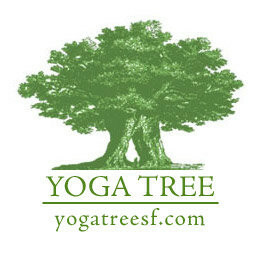 Truly one of the best yoga classes Ive been to in the city! She was a sub and I really wasnt a fan. She taught yoga but her cues were excessive for such a small class who werent as varied in skill level as her variety of cues would suggest. It was non stop instructing and lecturing and unfortunately I found her class depleted me rather than energizing or renewing. Great class and great start to the day. I wish I lived in San Francisco, I would drop in all the time. It hit many different levels and Leah did a great job leading the class.